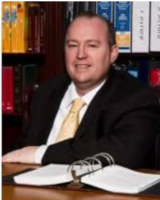 Michael Busby has tried over 200 family law and divorce cases over the last 11 years. He has tried cases in every family law and divorce court in Harris, Montgomery, Galveston, Brazoria, and Ft. Bend County. Judges at the district court and also the county court level are required to be licensed attorneys. Knowing the judge both in practice and seeing the transition to judge is helpful in determining what policy or philosophy the judge will employ in the courtroom. All Judges want to be seen as both fair and impartial. Most will state in family or divorce, that the best interest of the child is the primary concern when spouses and parents cannot work things out. You may be in a situation where your facts were not presented in the best light. If this happens, you may want to consider an appeal of the trial judge’s decision. In a family law context, you have three different types of judges. You have a master who presides over title 4 child support cases. You have a right to trial de novo in front of the elected district judge but must file the appeal within 7 days. Then there is the associate judge for the elected or presiding judge. You also have a right to trial de novo on referrals made to the associate judge back to the district judge. This is different from an appeal the Texas court of appeals or Supreme Court of Texas. While I can help you in all aspects of a family law or divorce case, the purpose of this page and information contained herein is to provide information on how to appeal a final judgment from a court for which you will be going to need a brief, oral argument, the reporter’s record, and an opinion from a higher court. As deadlines are short in this area.